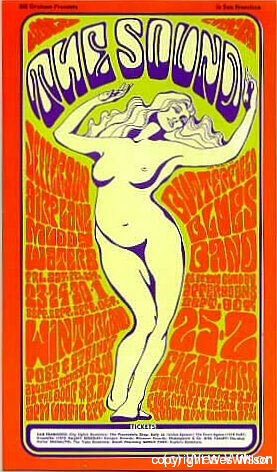 1960s posters are considered to be “The Golden Age of Rock Posters”. 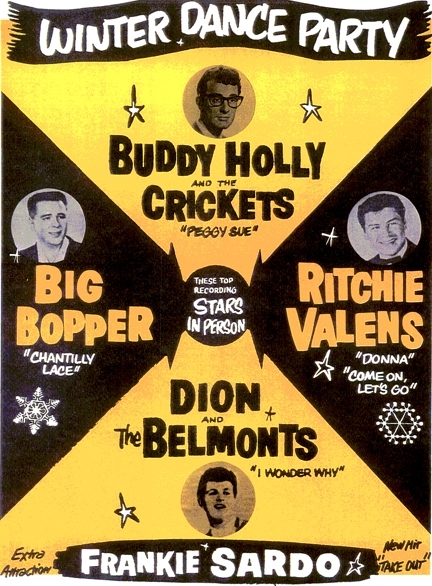 In the sixties new music was produced stateside in response to the “British Invasion” creating a new school of concert poster art. This stood in dramatic contrast with the art of rocks’ earlier era. 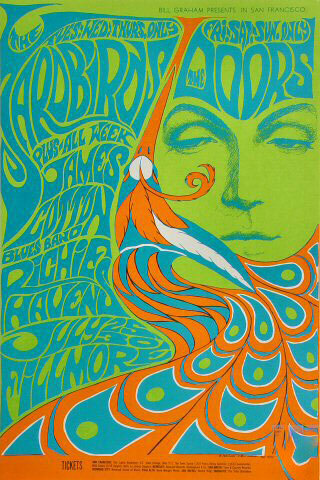 Bill Graham’s Fillmore concerts created a cottage industry that produced outstanding modern graphics and craftsmanship. Today they hang along side fine art and modern art in museums all over the world. 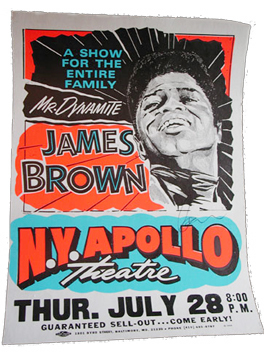 Rare concert posters are in high demand as investments and for their aesthetic pleasure. It started in early 1964. A new form of music was emerging with bands like The Charlatans in response to “Beatle Mania” and the musical British Invasion. 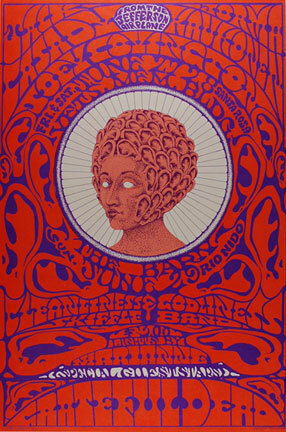 Simultaneously, psychedelic poster art was born. 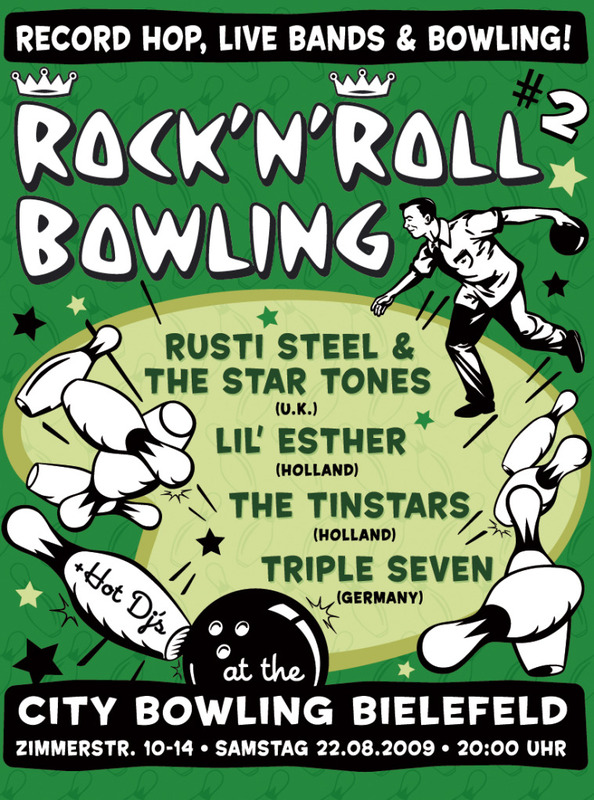 The posters stylized, forged and enhanced the new music form. This new genre of art also reflected the life style of a new generation. 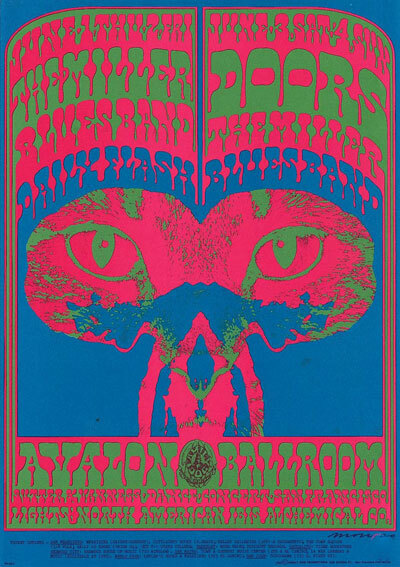 Stanley Mouse, Alton Kelley, Rick Griffin, Victor Moscoso, and Wes Wilson were some of the big names akin to concert poster art in the sixties. The artists drew on what they called the “image bank”, “the graphic flea market” – reproductions of old masters, movie stills, and comic books were all considered potential visual material.